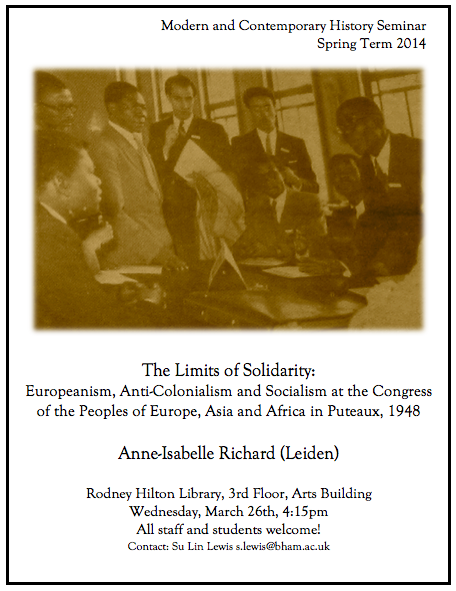 This week, for our final seminar of the term, we’re delighted to welcome Anne-Isabelle Richard from Leiden University, who will be giving a paper on ‘The Limits of Solidarity: Europeanism, Anti-Colonialism and Socialism at the Congress of the Peoples of Europe, Asia and Africa in Puteaux, 1948′. Please join us at 4:15pm on Wednesday, March 26th, in the Rodney Hilton Library, on the 3rd floor of the Arts Building. As usual, all are welcome, and there will be drinks. 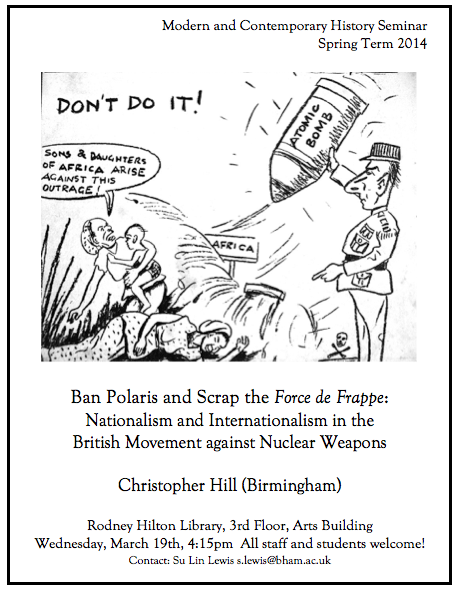 This week we’ll hear from our own Christopher Hill, who will be giving a paper titled ‘Ban Polaris and Scrap the Force de Frappe: Nationalism and Internationalism in the British Movement Against Nuclear Weapons’, Wednesday 19 March, beginning at 4:15pm in the Rodney Hilton Library, Arts Building, 3rd floor. All are welcome, and there will be drinks. This week we’ll be hosting a joint talk with the Department of African Studies and Anthropology. 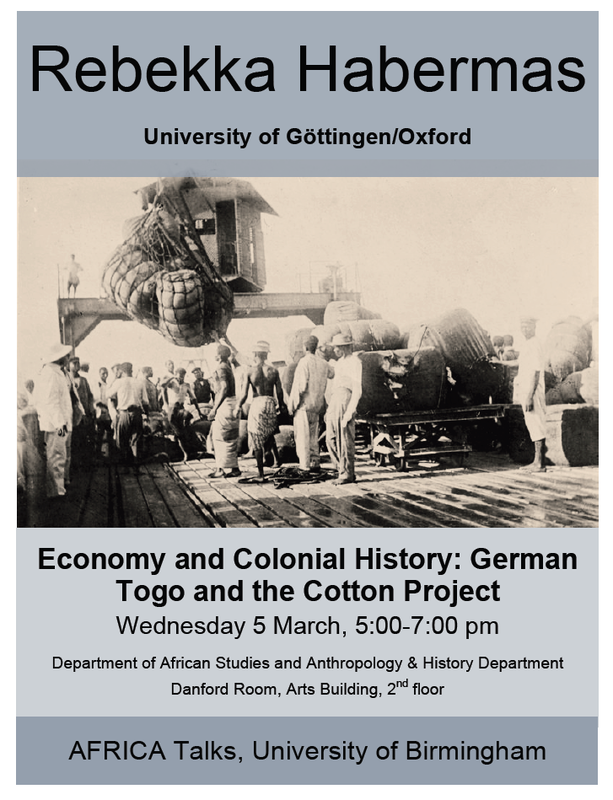 Rebekka Habermas (Gottingen/Oxford) will be speaking on “Economy and Colonial History: German Togo and the Cotton Project”, Wednesday 5 March, beginning at 5pm in the Danford Room, Arts Building, 2nd floor. All are welcome, and there will be drinks.